Airplane propellers make unusual decorations, particularly if they are old, wooden propellers of the type used on biplanes. Some of these propellers are 8 feet long and can make a dramatic, oversized visual statement in a living room. 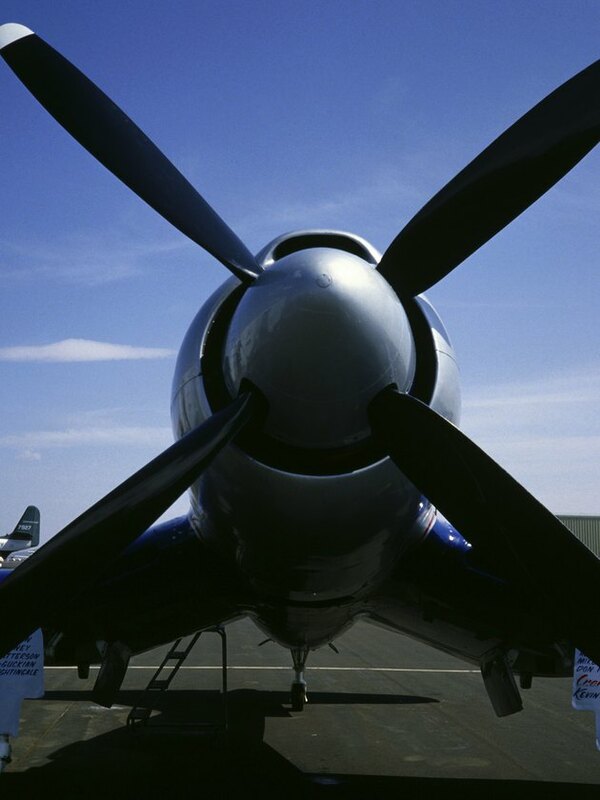 Be sure to attach a large propeller to your wall securely so there's no way it will fall off. A propeller crashing to the floor would present a potentially lethal hazard and is not the kind of impact you're looking for. Airplane propellors make unusual interior decor. Measure the wall where you are planning to hang the propeller. Locate the exact center of the wall to give your propeller a lot of space on all sides. Use a stud finder to find the stud that is nearest to this point and mark this point directly over the stud with a pencil. Drill a pilot hole through the drywall and into the stud. Use a drill bit that is the same diameter or just slightly smaller than the shaft of the lag bolt you will be using. Hold the propeller up against the wall and position its center hole over your pilot hole. This job is easier with one or two assistants. Place a large washer onto the shaft of the lag bolt. The diameter of the washer needs to be larger than the diameter of the hole in the center of the propeller. Put the lag bolt through the hole of the propeller and into the pilot hole in the wall. Tighten the lag bolt with a socket set until the propeller is tight against the wall. Don't overtighten it or you risk stripping out the pilot hole. Create additional support for the propeller by installing small hooks underneath the edges of the propeller's blades, being sure to screw the hooks directly into studs and not just into drywall.